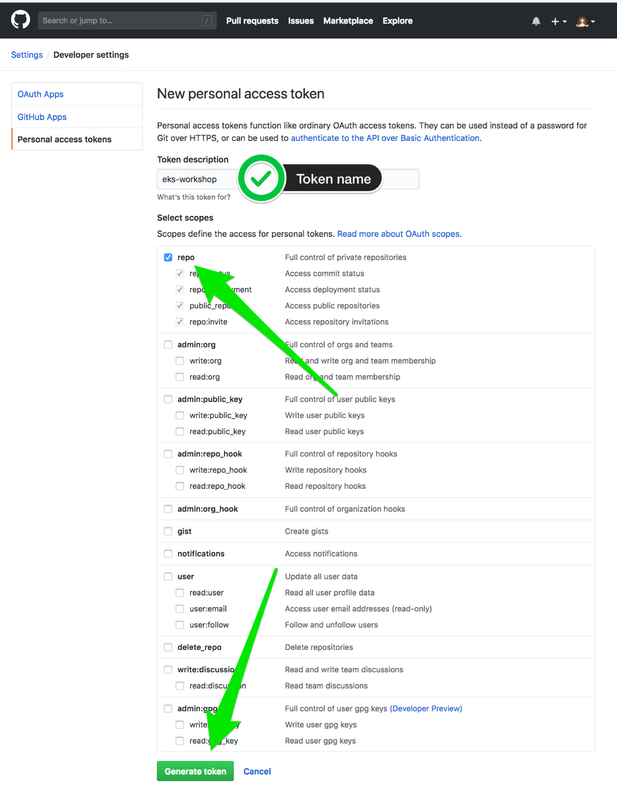 In order for CodePipeline to receive callbacks from GitHub, we need to generate a personal access token. Once created, an access token can be stored in a secure enclave and reused, so this step is only required during the first run or when you need to generate new keys. Open up the New personal access page in GitHub.